an exercise in letterpress printing, limited edition of 20. i wanted to create a business card that would stand out and be kept. using a single-sheet fold produced an 8 page book. text printed on letterpress, images hand stamped. 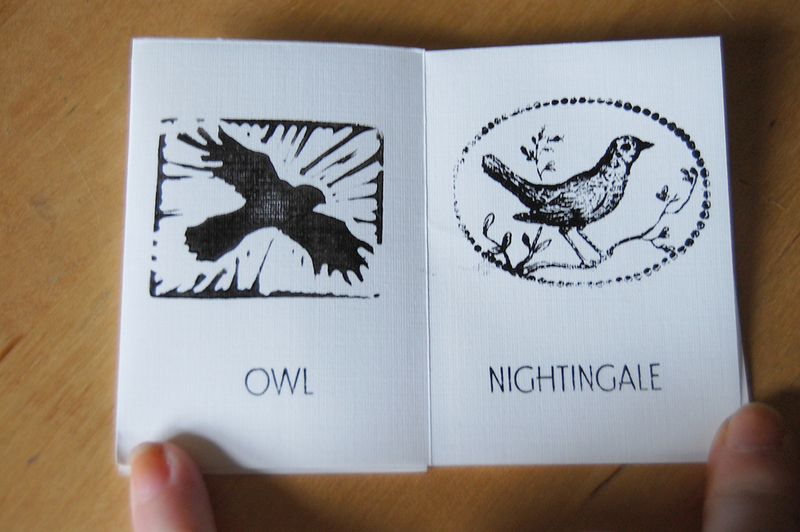 images are a mixture of commercial and hand-carved rubber stamps. the format of a spotters guide was drawn from my fond recollection of the i-spy books of my childhood. however, not all is as it seems. all images are mislabelled, some more obviously than others. my intention was to subvert the format by creating a disconnect between words and images, to engender a sense of unease through misdirection. on reflection i don't believe i achieved this, because the mislabelling was not obvious enough. for reference (really!) 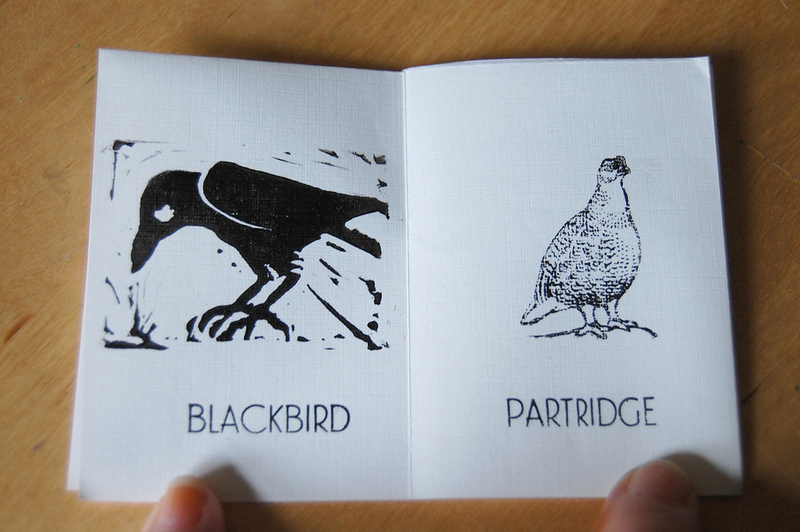 the "blackbird" is a crow, "partridge" a grouse, "owl" a buzzard, "nightingale" a thrush, "duck" a goose and "sparrow" a swallow. i intend to produce a series of these books, expanding upon and hopefully clarifying the "unreliable" element. the second is currently in progress and will contain imaginary animals, starting with the jackalope.